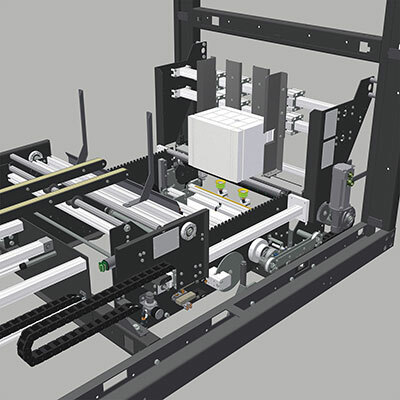 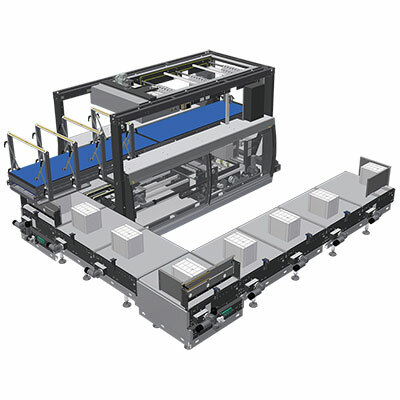 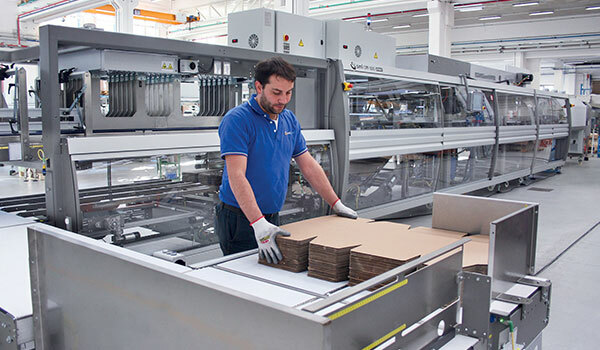 The innovative “Easy-Load” system allows the automatic loading of the cardboard blanks magazine and features considerable advantages from an operating and functional point of view; in fact, the operator can easily load the cardboard blanks, stacked horizontally in uniform groups, because the feeding belt of the cardboard blanks magazine is positioned at the same working height as the packer's infeed belt, rather than under it. 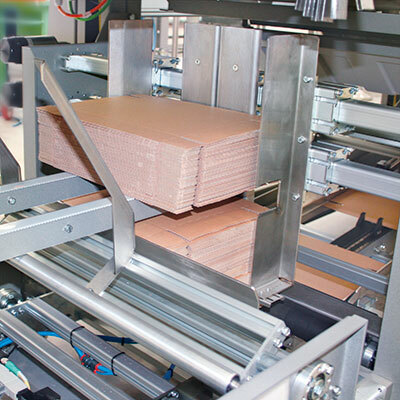 More in detail, the new system patented by SMI is made up of a series of conveyor belts, fitted with motorized mats, which feed the packer's cardboard blanks magazine; the cardboard blank stacks are carried on these belts up to the area in which they are translated and then continue up to the collection system at case/shrink packer infeed. 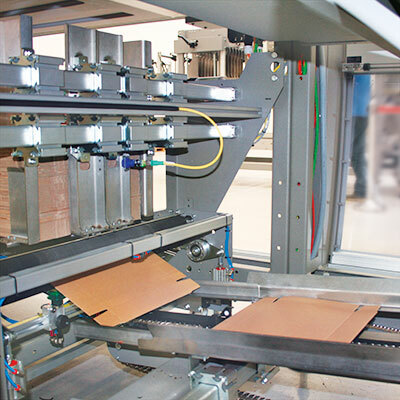 Thanks to specific sensors, the layout and feed of the cardboard blanks on the conveyor belts fitted with the motorized mats and their loading into the packer's magazine is, in fact, fully automated. 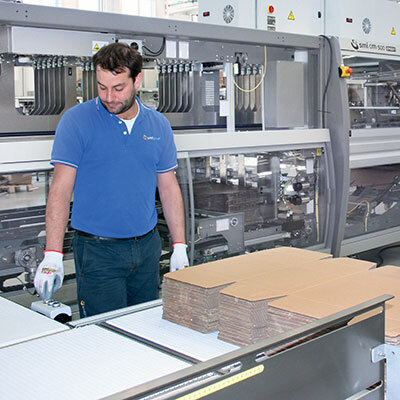 Therefore, the innovative solution devised by SMI eliminates the disadvantages related to the traditional loading of the cardboard blanks magazine, which force the operator to bend his/her body continuously to place the blanks in the bottom part of the machine. 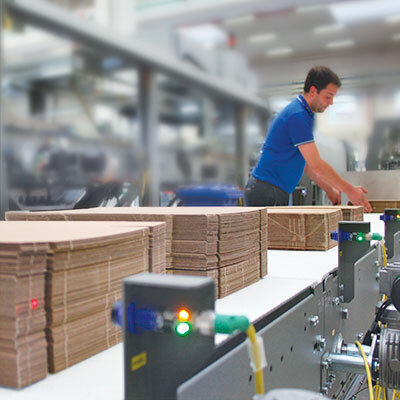 The technology used in the "Easy-Load" magazine also features the great advantage of ensuring fluid and constant picking operations with a wide range of cardboard blanks having a thickness between 0.5 mm and 5 mm.